Canadians love to argue over house prices. The debate rages on over what actually caused prices to take off over the last decade. An impressive boom that has seen cities like Vancouver and Toronto explode by more than 50% in recent years. Trying to put the pieces together can seem like an endless task. So it’s simpler to dumb it down to “supply and demand”. However, if we pull back the rug, we find something more. Why have so many countries experienced unprecedented growth in house prices? The simple answer is debt. 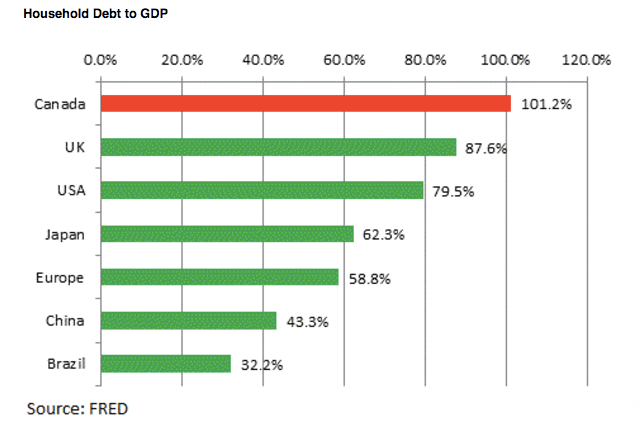 You’ll notice that these countries all dodged the Great Financial Crisis in 2008. 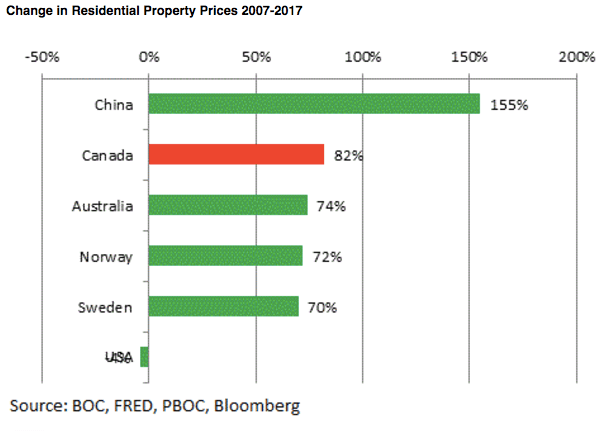 While many countries experienced significant housing downturns, countries like Canada were able to borrow their way out. The Bank of Canada lowered interest rates to the floor and encouraged Canadians to borrow more, helping to compensate for any slack in the economy. Household debt levels soared. Canada became an attractive investment for foreign capital looking for a safe return. A stable country with booming oil prices. Investors looking for yield piled into Canadian Mortgage Backed Securities. These securities are a key funding source for banks to create more mortgages and thus keep the housing boom growing. 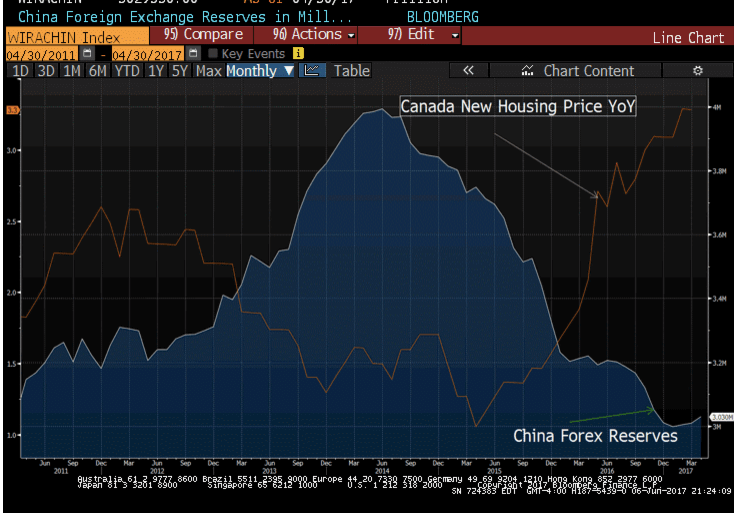 As you can see below, there is a pretty close connection between Canadian house prices and China’s declining forex reserves (capital outflows). Like a self fulfilling prophecy, as home prices rise investors and banks become more confident. Banks are willing to lend more as prices rise, while investors are willing to take on a bigger mortgage, a positive feedback loop ensues. Homeowners feel wealthy as prices rise and so too does their equity. Times are good, so they borrow and spend more, tapping into home equity lines of credit, which are now up 41% since 2011. This continues as long as prices continue to rise. Like a party with an endless punch bowl. Any attempt to remove it creates an uproar, like this scathing letter from the Canada Mortgage & Financial Group. However, the partygoers can only consume so much punch, and eventually must sober up, followed by an inevitable hangover.